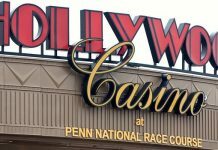 At one point, Calvin Zhao, who was a 23-year-old graduate student at San Francisco State University, was deep in gambling debt. He managed to find a way out of debt and out of the casinos. Now, he and another man are passing knowledge forward by talking to Asian-American students about gambling debts, and how to gamble responsibly. Their work is part of a larger study on Asian-American young people and gambling. 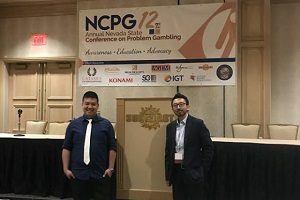 According to their research, Asian-American students are more likely to have unhealthy behavior with regard to gambling. The men have made it their mission to make sure that other Asian students do not spend more money on gambling than they can afford. Calvin Zhao had just graduated from college and was working while going to graduate school. He worked as an assistant and a translator for a wealthy investor at a cosmetics company. 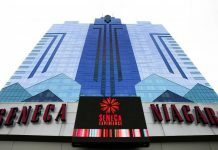 The investor was a high roller, who gambled thousands of dollars in casinos in California. While Zhao was watching the high-roller gamble, he learned several tricks and he thought it might be a great way to win tuition money for graduate school. However, instead of winning big—Zhao lost big, several thousand dollars as his first big loss. He continued to gamble until he was tens of thousands of dollars in debt. That was when he realized he had to stop gambling. Zhao got very depressed and sad about his gambling. He also became more isolated as he spent all his free time gambling. He quit the habit cold turkey, and has never looked back. He slowly managed to pay his way out of debt. Zhao decided that he wanted to study problem gambling among Asian-American students as his master’s work. Zhao’s research has found that Asian-American students are more at risk for problem gambling behavior than their White, Black, or Hispanic counterparts. Zhao has found that cultural factors in Asian culture may lead students to gamble. In many Asian households, gambling and gambling losses are very commonplace. Gambling is seen in some Asian cultures as a social occasion, and is often done during holiday festivals. Often, children are taught to gamble at a young age by playing games of skill and chance—like mahjong. Zhao said that when children are exposed to so much gambling at such an early age, it seems normal. Zhao and a colleague began a non-profit organization to help Asian-American students to be smart about gambling. They discuss with Asian-American students tricks that casinos use to keep people gambling. For example, casino layouts make it difficult to find an exit and a bathroom. There are no clocks for people to keep track of time. Alcohol flows freely, and the lighting in the casino makes it difficult to determine how long an individual has been gambling. Zhao recommends that if students make a choice to gamble, they need to do so with some preset guidelines. For example, Zhao recommends that students leave their credit and debit cards at home, and only takes cash to the casinos to gamble. In addition, Zhao says that students should set an alarm after a certain amount of time has passed. Zhao says, for example, if a student wants to gamble for two hours, they should set the alarm for two hours. When the alarm rings, the student should leave the casino. Zhao wants to continue to help students gamble responsibly. The nonprofit he started, NICOS Chinese Health, speaks to students in high schools about how to gamble responsibly. The group discusses healthy gambling within the family, social atmosphere as well–with the help of the nonprofit, Zhao hopes to continue to affect students.